A brief look at all of the treatments we offer. At the Sydney Myofascial Release Centre we use Core Body Therapy, a complete system of bodywork that treats musculoskeletal pain and dysfunction with myofascial release, deep tissue massage, stretching techniques, craniosacral therapy, trigger point therapy and PEMF Therapy. It is a grounded, scientific, structural approach to the body that also encompasses emotional and spiritual aspects. Chris is at our Newtown clinic on Saturdays. Chris is at our Crows Nest clinic on weekdays. Chris was one of my teachers during my Diploma of Remedial Massage study in 2004. In the first lesson, Chris started explaining that myofascial work can impact not only the physical, but the emotional and spiritual realms. I was the sceptic up the back, only just out of a university course that was based on hard science, and now, here was a system that claimed to work on the body as a whole (not just the 'physical' system). By the end of the lesson, I had a huge physical and emotional release by working on one muscle alone, and...quite simply... I was hooked. Chris opened my eyes from the onset of the possibilities of this work, how profound it can be. This start, all the way back in my first lesson, has fueled an exciting journey for me that I still explore today as a Physiotherapist. As a Physio, I still refer clients to Chris, and continue to drop in for my own treatments. He has a great understanding of the body, mechanical and otherwise and is so open to learning/exploring and the possibility of change that all sorts of results can be achieved. It takes a very gifted person to bridge both worlds of practitioner and teacher so effortlessly. I have known Chris O'Brien for 12 years, I have completed 102 hours of training with Chris. I owe my success as a Professional Body Worker to Chris's methods of teaching. The proof is the number of clients who have walked through my door over the past 12 years. I would have to say he is my mentor. Chris conducts his classes with integrity, clarity, patience and in a professional manner. His knowledge and skills are demonstrated for all to comprehend. I would not hesitate to recommend his training methods to new recruits in the massage industry. The massage training courses offered by Chris O'Brien at Core Body Therapy provide extensive training in myofascial release, deep tissue massage, trigger point therapy and craniosacral therapy. Working directly with muscles, joints, and the fascia (the body's connective tissue), myofascial release is the foundation of an advanced bodywork practice that creates fundamental change within the human body, with minimal physical impact on the practitioner and maximum positive effect on the client. The pelvis represents the bodys centre of gravity, therefore any tilts or rotations of the pelvis negatively impact the entire body. 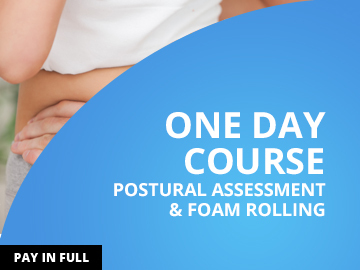 In this workshop we will learn how to assess and treat pelvic problems using Myofascial Release techniques. Core Myofascial Release is the foundation training in this advanced system of bodywork. The principle being to directly work with the fascia (the bodys connective tissue), muscles and joints to create fundamental change. Learn the fundamental elements and philosophy of Myofascial Release through this hands-on introductory course. 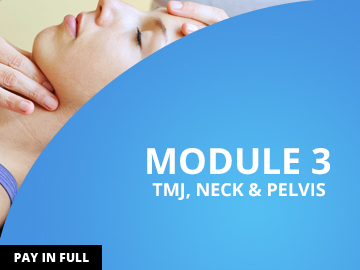 The focus of this training is to effectively assess & treat musculoskeletal pain using powerful techniques for the shoulder girdle/neck,lower back & pelvis that produce immediate positive results for your clients.